As I am stomping my way through 11/22/63, a book that I don't want to put down, but at 850 pages it's taking me a little longer than an average sized boo. This week I got to thinking about those "unputdownable" books. 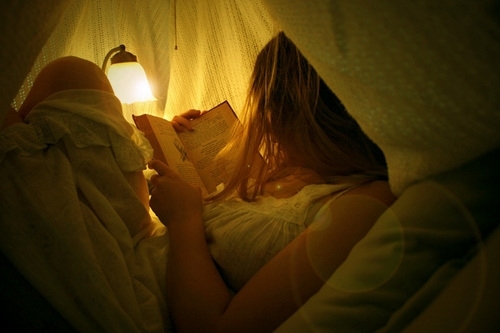 The books that keep you up past your bedtime. Those books that make you wish your lunch hour was longer (that is, if you read during your lunch hour like I do). Those books that keep you from watching tv for a week because all you want to do is read. Below is my list of my favorite unputdownable books. The Time Traveler's Wife by Audrey Niffenegger: This novel is part science fiction, part romance, and entirely amazing. You've been living under a rock if you haven't heard of this book, but if you haven't given it a try yet you're really missing out on a good one. 11/22/63 by Stephen King: Ok fine I haven't finished this one yet, but it's making the list becauese I'm over halfway through and I can attest to it's unputdownable-ness. (I realize this post is full of made-up words.) I can't wait to find out how it ends, but I also don't want it to end. The Shadow of the Wind by Carlos Ruiz Zafon: Another recommended by a friend, I read this pre-blogging and it still remains one of my favorite literary mysteries. I can't wait for his second followup to this one (the first was The Angel's Game) due out this summer, The Prisoner of Heaven. The Sword of Truth Series by Terry Goodkind: I got into this series when a friend from high school recommended it to me. It still remains one of my favorite series, following Richard Cypher as he gradually embraces his destiny as the Seeker of Truth, and sets out to stop the evil that others would unleash. Even though the books in the series are thick, I promise you'll fly through them. The Book of Illusions by Paul Auster: This book was my introduction to Auster. While I haven't come across a book of his I didn't like, this one remains what I believe to be the most unputdownable. It offers a look at the silent movie industry and a complex mystery filled with corruption. The Thieves of Manhattan by Adam Langer: Say what you will about Adam Langer, I thought this book was freaking awesome. The novel follows a down-and-out aspiring short story writer and the web of lies in which he becomes tangled. It's equal parts funny, thrilling and snarky. Native Son by Richard Wright: The terms "classic" and "unputdownable" aren't often used in the same sentence. This novel is an exception. Heartbreaking and eye-opening, I couldn't wait to find out what happened in the end. Zeitoun by Dave Eggers: This one was rage inducing, in the most thoughtful way possible. It's a book I think everyone should read, the true story of the Zeitoun family in post-Katrina New Orleans examining what it means to be a Muslim in modern America. It's quite interesting and moves very quickly. The Post-Birthday World by Lionel Shriver: This novel hasn't gotten nearly as much attention as Shriver's other novels, but it is equally compelling as most. It's an imaginative look at the implications of whom we choose to love, exploring the what-if's we all ponder at some point or another. I am almost ashamed to admit that I haven't read any of the titles you listed above. I do, however, have several of these on my shelves. I've heard again and again that The Shadow of the Wind is incredible, so I'm considering trying to get that in very soon. I attempted reading The Thieves of Manhattan after I picked it up at a sale, but just wasn't really in the mood for it at the time. I'll keep these comments in mind when choosing my next reads. And made-up words are always the best. I do find the majority of Paul Auster's books unputdownable, but The Book of Illusions wasn't one of my favourites (that would be The New York Trilogy). And yay for Stephen King! I do love him so! I found The Dark Tower series utterly unputdownable (congrats on your new word!) so if you haven't read them yet, then I seriously recommend them! I liked The New York Trilogy a lot, but I found The Book of Illusions, and The Brooklyn Follies, to be more unputdownable. OK I give in, I'm adding The Time Traveler's Wife to my TBR. You have good taste and always rave about it so I need to get over the movie trailer (which is mostly what I'm going off of for the book) and read it. Oooh! I do love an unputdownable book. The Time Traveler's Wife would be high on my list as well. And I *heart* anything of Auster's. 11.22.63 is definitely unputdownable; that being said, I did love the ending! I read The Shadow of the Wind within twenty four hours, I don't think I ever even got up... I really want to read The Time Traveller's Wife.. Nice list!! I haven't gotten to the end yet I can't wait! Unputdownable books awesome! There are a lot of those books for sure! My last one was Hallowed, I had to finished that in one sitting, even bk 1 Unearthly I stayed up reading till 3am to finish it. I haven't heard of Hallowed I'll look into that one. Shadow, Time Traveler's Wife and Zeitoun are all such amazing books. I can't wait to read 11/22/63 now and I need to bump Post-Birthday up the list too. Bump it up for sure! I have not read Moon Palace but I do have it sitting at home. It's the next Auster I've got picked out. Is it awesome? All of these books sound very interesting and unputdownable. I mean, I've read The Time Traveler's Wife and found that to be unputdownable. Stephen King is always gripping too,when I read him. I need to reread Native Son. I remember reading it in college - and liking it - but I can't remember a single detail. It might have to go bac on the TBR list. I heard that from a few people when I was reading it. I never had to read it in college or for school, so reading it this month was my first time around. I'd say it's a worth a reread! I've had The Shadow of the Wind and Time Traveler's Wife in my TBR pile forever. I'm going to make a point to read them soon! Ooooh you have to! Two fantastic books! What is great about this list is that I've only read the Zafon. This means my reading future is looking brighter and brighter by the minute! Thanks so much for the list. I have loved all the books you mention that I've read. Paul Auster is an author I've wanted to try for a while, but I haven't heard much about that book - everyone seems to rave about The New York Trilogy. You've encouraged me to get it down off my shelf - thank you! I really liked The New York Trilogy but I would start with something of his a little more accessible. That's the way I did it and it worked well. I am the only person in the world who didn't love The Time Travellers Wife. Why did she keep trying to get pregnant when she had so many miscarriages? Hmmm that didn't bother me too much. I think she had such a desire to be a mother that she was willing to give it all she had. Nice changes to the blog! And holy, I've read only 3 of those, and I admit to not remembering if Native Son was unputdownable; I read it for university. But I completely agree with you on Shadow of the Wind and The Time Traveller's Wife. I have to say that almost everything I've reviewed lately has been unputdownable, because if I've found it easy to put down, I haven't picked them up again to finish and thus review. :) I'm finding it increasingly difficult to find books I can't put down, but it's for several reasons, one being that I've lately had a hard time not feeling guilty for just sitting and reading (that's why I get on the treadmill now to read!! ), and another being that I'm perhaps becoming more...well, just pickier, I guess. Great idea doing the treadmill when reading! I do that too when it's too cold to run outside, but I just walk quickly on an incline - it's too hard for me to run and read a book at the same time. I read 11/22/63 this month and I totally agree with you ...I couldn't put it down and was counting the minutes when I could pick it back up and keep reading. Soooooo good!!!! That seems to be the consensus! I can't wait for the new Zafon this summer! And yes you should give Thieves a try. Yes I know I'm going to be sorry when it ends. Currently reading an "unputdownable" book in Song of Solomon by Toni Morrison. And I keep meaning to pick up the King book, but I fear the page count. Tony, I was worried about the page numbers as well but really it moves super quickly. I wouldn't let it deter you from picking it up. It look me longer to read a slow 350 page book than it did for this 850 page tome. For real. In the space of the last 36 hours I started and finished One Day by David Nicholls. I had heard so many wonderful things about it from so many bloggers whose opinions I trust that I finally decided to pull it from the TBR pile and dive in. Once I started, I just couldn't stop. Oh I really liked One Day as well! I wasn't expecting the ending. Have you seen the movie yet? I haven't but I'd like to at some point. I've read three on the list, two of which you recommended. TTW does not make my favorites but Zafon's 'Shadow of the Wind' certainly does. I think Zafon touched things inside of me that I didn't know existed... I think humans call them emotions. Goodkind's Truth series was great up until about the ninth book. I've gotten out of the phase where I can read 10 books with the same characters and story line and still be entertained. I'll give him credit for his ability to build well rounded characters however. Hopefully he can apply his talents to new works in the future but not use the epic decaology format. Is decaolgy even a word? Ha!